Lead and Manage your School Better by Embracing the Principles and Ideas in this FREE Web Book. During the last few years I have written multiple articles on each of the three characteristics of the effective school Headmaster as 1) visionary, 2) head teacher, and 3) CEO. These articles have now culminated in this revisable web book for aspiring and developing school headmasters. The conspicuous absence of works on this subject, a great desire to develop the next generation of idea and organizational leaders, and a long and successful career as a headmaster fire my drive to embark on this project. Consider that the average stay of a headmaster at an independent school is less than four years, a time far too short to establish effective leadership. Effective educational leadership is so important that I would like to contribute to its improvement with the intention of improving school leadership and management. Because this is an easily revisable web book, I plan to add additional articles, relevant media, and lectures to the text from time to time. I have already used it as material for coaching new heads to shorten ramp up into success. Hopefully sharing both ideas and real life examples from my own experience will make this a valuable tool that is also interesting to read. 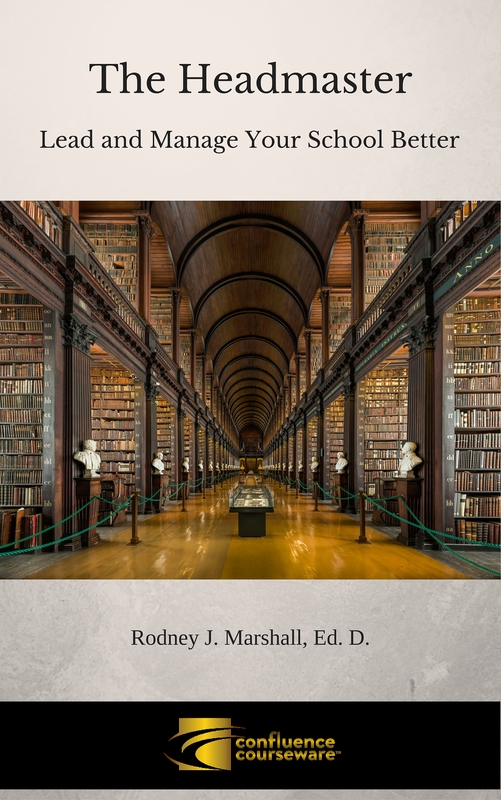 You will receive an email with a link to your free access to The Headmaster: Lead and Manage Your School Better by Rodney J. Marshall, Ed.D.